It’s never been easier to meet the latest school nutrition standards. 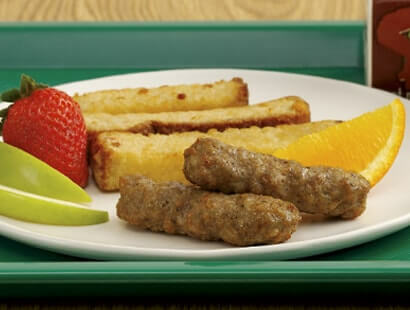 Available in turkey, chicken and pork varieties, these all-natural breakfast sausage products from Jones are lower in fat and sodium and are always Certified Gluten-Free. And with a great taste that kids love, they’re a great choice for school menus.